This is Part 2 of Day 69. I have been more off the grid than on during the past day. 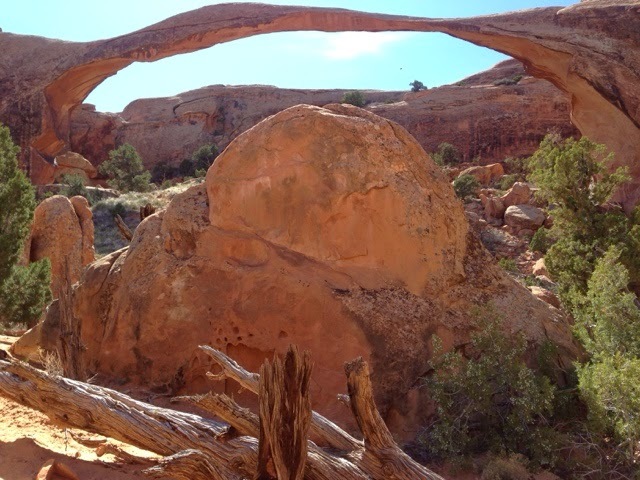 As a recap Arches National Park offers more than I felt like chronicaling in one post. A reminder it take me about 2 hours for each blog. Ok, here it goes. In Part 1 I made it from SLC to Arches NP about noon and then went directly to Delicate Arch to hike to it and take pictures. 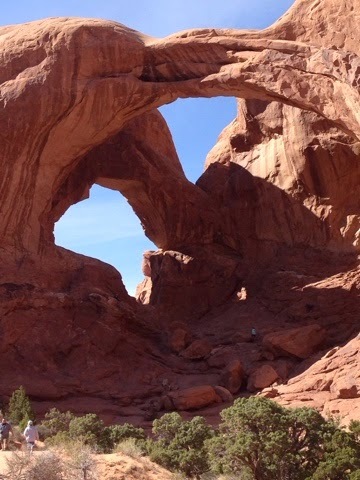 Now in Part 2 I head over to Landscape Arch. 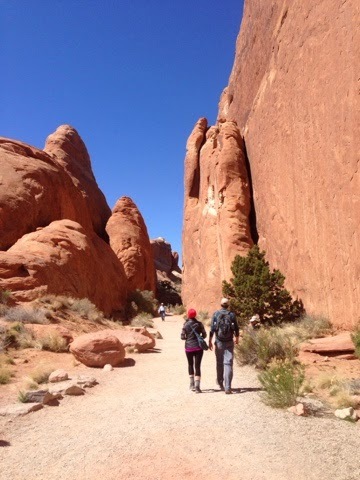 Here the hike to Landscape Arch is relatively flat and short. You pass through these giants to get to it. It. Was a windy day with the front just passing and it reminded me of walking in Boston after a front goes by with wind whipping around the structures. This is my best shot of the arch as the sun was setting and I was getting glare in the lens. This is the picture on the National Park's Publication. 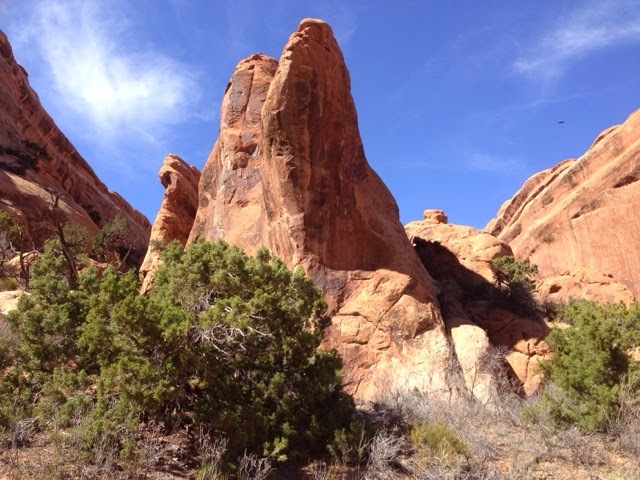 Here is a view of the kind of rock formations that abound. The trees have such character here. I met these two woman at the arch. They had been to Delicate Arch too. 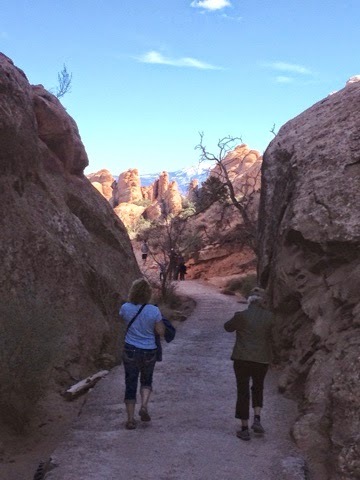 This is a mother/daughter combination with the mother living in Mesa, AZ in the winter and the daughter came from Minnesota to visit with her and they are on a tour of parks. The mother drives and the daughter navigates. They were very nice and the daughter was taking pictures with her phone but it was dying so after putting it in airplane mode I think they made it. When I'm on trail and out of cell range I put my phone in airplane mode to save battery life. 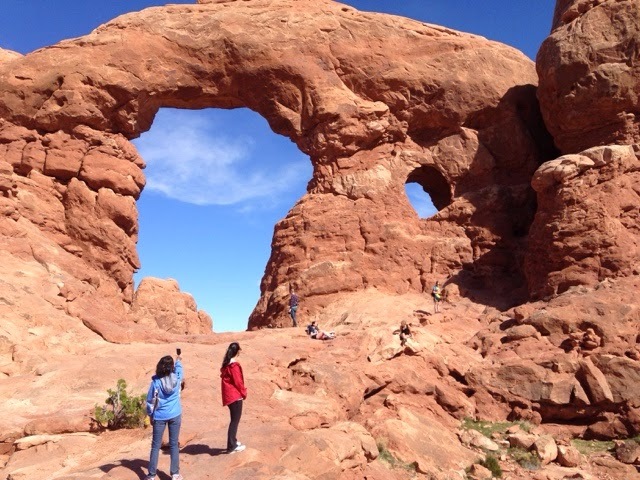 After Architecture Arch I went to the area of Double Arch and North & South Window. 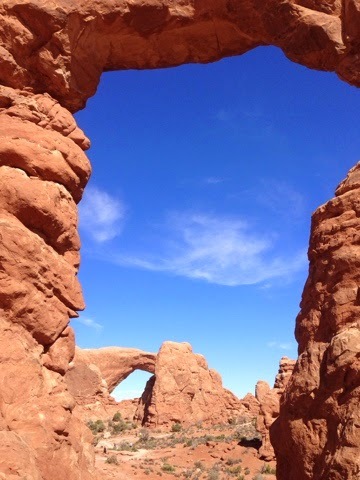 Double Arch is above. Here is the North Window. Finally, the South Window in the foreground looking to the North Window through it. It was now 4:30 pm and for this is late for me to land for the night. I went to McDonald's for email, downloads, and looking for a place to stay tonight from a BLM map I had. I only spent 30 minutes and drove 2.5 miles to BLM camping along a river. All the BLM camping is only in designated camping spots and a small fee with pit toilets and no showers. The first was full. A half mile down the road was full. There was a private campground adjacent to these and it was $22.00 for the night. There were ATV's here kicking up all kinds of dust and that didn't look good. Also none of these areas had cell service so I didn't like that as I like to keep up with the blog. I will keep this short, but I drove to another BLM campground that was 8 miles away and it was full. Then 16 miles to 7 BLM campgrounds along another river chocking up more miles. By the way the BLM campsites were very nicely managed but these too had no cell service. I relented to going to a private campground within cell device for $29.00 per night. The bathrooms were ok but the sites were tiny and were not maintained well. The attitude of the person checking me in was as bland as the campsite. I parked at 6:30 pm and settling into my site away from others as it looked best but it wasn't long that I had people on all sides of me. 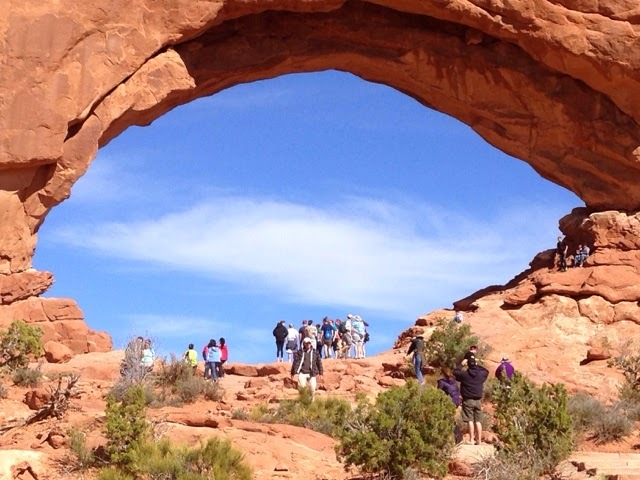 I would learn the next day that Moab, UT where Arches NP is, gets crowded the week of spring break. Moab is a nice town with lots of outdoor adventures for taking pictures, hiking, climbing, 4-wheeling, camping, white water rafting, tours, shopping and so on. 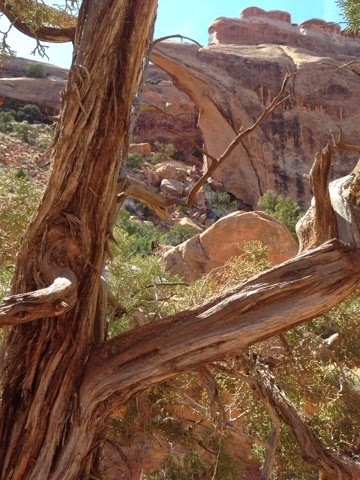 I believe Moab, UT is one of the best rated destinations for outdoor activities. I would like to go back and explore some more.